A true collaboration between Jonathan and me that provides a double dose of mystery and mayhem. 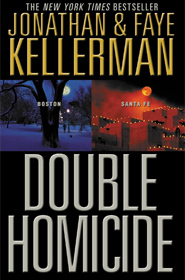 Two short novels set in Boston and Santa Fe with two different teams of homicide detectives. This allowed us to explore other cities as well as stretch our imaginations. Our Boston novel involves the sudden death of a high school basketball phenom and our Santa Fe novel deals with the death of a despised art dealer.